Designed for the home PC gaming and music fan, this system provides awesome performance. All enclosures are made from high quality MDF wood, with the satellites being finished in high gloss piano black. The subwoofer is fitted with a dual voice coil reflex loaded woofer, and a high power amplifier that delivers superb bass definition. 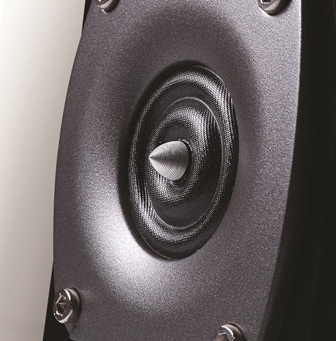 Edifier's newly developed high performance tweeter with machined phase plug is fitted to enable incredible smoothness and wide dispersion for the satellites. Simply put, the S330D™ Mediapro system will satisfy even the most ardent of audio enthusiasts. Bass Unit: 6.5" (106mm), magnetically shielded, 4Ohm. Satellite Unit: 2" (78mm) mid-range and 3/4 inch silk dome tweeter, 4Ohm,magnetically shielded. 2.1 speaker system with 6.5 inch dual voicecoil subwoofer. High power BTL (Bridged Tied Load) amplifier delivers excellent dynamics. Wood MDF housings for all speaker enclosures ensure superb clarity. 2-way satellites with pro-designed crossovers and high gloss piano finish. High performance soft silk dome tweeter with phase plug for extra smooth wide response. Headphone output and auxiliary(AUX) input on wired remote controller.